LS is the model that should be most praised by Lexus. It is the very model that made Toyota’s luxury division known. 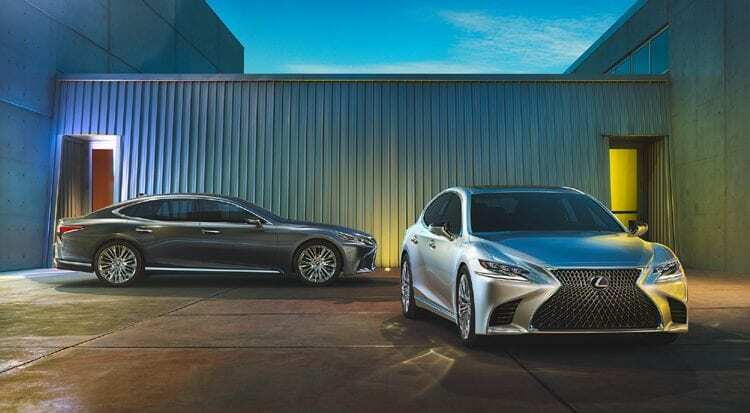 More than 40,000 units were sold during the first year of introduction, which is nothing short of remarkable and something that has never been achieved again by Lexus. The same model that made the brand what it is was later heavily neglected as outgoing generation stayed in the production for a decade. Way too long, that is. Finally Japanese came to their senses, and we witnessed totally new story with just revealed 2018 Lexus LS 500, ready to justify the glorious roots of the predecessor. There are no adequate words to describe how marvelous this thing looks. If you were after gorgeously shaped body in full-size luxury saloon segment, there was nothing close to Maserati’s offer. Now there is. This is as sleek, as elegant, as handsome as Quattroporte. It brought a dose of sharpness as every new Lexus but combined with such grace and fluidity that final result is maximum sophistication even with unavoidable Spindle grille. How far stylish approach was respected, says the fact that moonroof slides outwards to preserve magnificent slope of the roof. Germans are just way behind with current offers, and we don’t see them, apart maybe from new Mercedes, able to compete with this one in the near future. In search of uniqueness Japanese turned to their traditions, rather than continue to counter German views, and the final result is staggering. Just the simple flow of elegance and overlapping lines creating the special ambiance of serenity and nonintrusive luxury, leaving only S-Class capable of properly rivaling this level of visual refinement. Ambiental lighting is here to mimic Japanese lanterns and seats are featuring Shiatsu massage, while everything in total works together to bring best aspects of traditional Japanese hospitality. Active Noise Control system doesn’t make this cabin quiet, it literally denies it of any noise at all. Within sculptured dash lies beautiful 12.3-inch infotainment system, and windshield can project 24-ich color heads-up display, biggest in the world for now. Nothing stays left out with new LS. The outgoing engine did lose its two cylinders, but new V6 will never make you regret that. Two cylinders gave place to two turbochargers making this 3.5-liter capable of producing 415 horsepower and 442 pound-feet of torque, which is 29 horses and a remarkable 75 pound-feet of torque more than before. Less is more obviously, as new V6 takes 4.5 seconds to 60 mph, while for V8 time just switch places of 4 and 5 as it needed 5.4 seconds for the same sprint. Hybrid will also follow, be sure of that, it is Toyota in the end. The new engine is paired with also new 10-speed automatic with shift paddles, just debuted in LC500 and we already knew it is as good as it can be. It is not dual-clutch, but it as fast and crisp when you want it to and as smooth as you can imagine when it needs to be. At this moment, LS comes with rear-wheel drive for the start, and nobody doubts that soon AWD version will follow. Under the beautiful skin lies new GA-L platform, and if we say its same underpinning from new LC500, you can set your expectations really high. LS was always highly comfortable and quiet, but this time it will corner also. GA-L has a lower center of gravity, while driver seats significantly lower in much more thrilling position than before. It will be stiffest Lexus model so far, so maybe Maserati got the proper rival in the back roads pleasures, besides just looks. LS has just gone from bulky, chubby guy to most handsome kid on the block, besides getting 1.3 inches more in length than past generation in LWB version. Before it, if you wanted visual passion and sleekness along with some driving joy, there were only Italians to turn to. 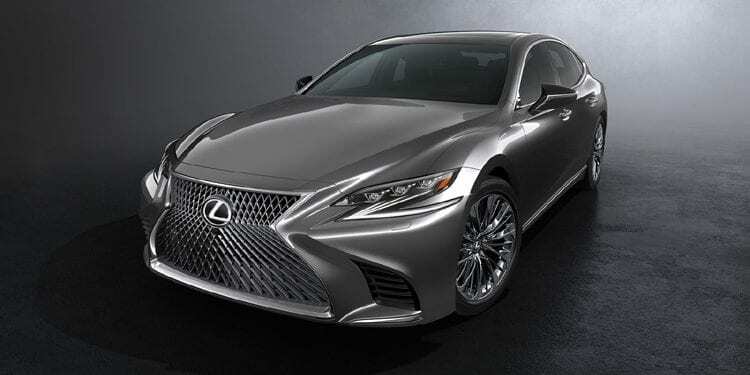 Take the same mentioned adjectives and add Japanese reliability and build quality, and openly admit that 2018 Lexus LS 500 is probably the best offer of today and it’s yours for around $80k.